It's 30 years since the Hillsborough disaster - when 96 Liverpool FC fans died at an FA Cup semi-final football match on 15 April 1989. Football fans all over the country will be remembering what happened and those who died, but especially around Liverpool where special events will be held. Michael Jolliffe lived through the events of that day and went to visit a school to explain what he saw and what he experienced. We went to meet them. 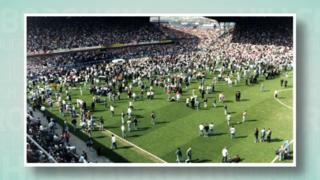 What was the Hillsborough disaster? More than 24,000 Liverpool fans travelled to Sheffield for the 1989 FA Cup semi-final match against Nottingham Forest. As they waited for kick-off, a large crowd built up outside Hillsborough stadium. When a gate was opened, thousands of fans went into an already busy part of the ground and many of them got caught up in a crush. At 3.06pm the match was stopped. Ninety six people died and hundreds more were injured. All of the people who died were Liverpool fans who had travelled to Sheffield to support their team. 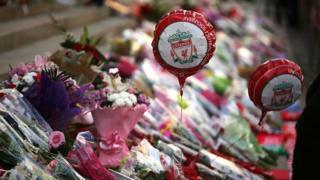 Most of the victims were from Liverpool and Greater Merseyside. Others came from different parts of England. Of the victims, 38 were children or teenagers. The youngest was ten year old Jon-Paul Gilhooley. He was a cousin of footballer Steven Gerrard, who went on to become the captain of Liverpool FC. How is the anniversary being remembered? 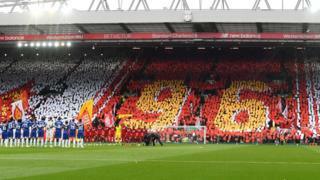 Every season Liverpool FC pays its respects to the 96 supporters who lost their lives at Hillsborough during the match closest to the date of the incident. This year it was Sunday's match against Chelsea at Anfield. A minute's silence was held before kick-off and special '96' and '30 years' mosaics where shown. Both teams wore black armbands as a mark of respect. On Monday 15 April players and staff across the club will fall silent at 3.06pm to observe a minute's silence in memory of the 96 people who died. 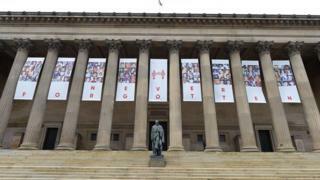 From Saturday 13 April, nine banners will hang from the front of St George's Hall in the centre of Liverpool featuring the images of those who died along with the words 'Never Forgotten'. A public service will be held at Liverpool Cathedral and from Monday 15 April, with 96 lanterns displayed on the steps of the Hall. How did it change football? After the disaster, changes were made to football stadiums to make them safer, and to stop an accident like this from ever happening again. Previously stadiums used to be made up of fenced-in terraces where fans would stand to support their teams. 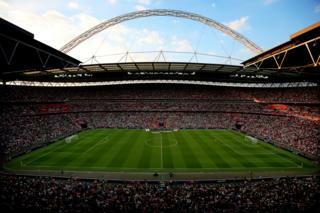 Now, all stadiums have to be all-seater, with a seat for every person with a ticket. That makes it much easier to manage the crowds and make sure everyone has enough room. There also have to be a certain number of stewards working in each area of the stadium to look after people.